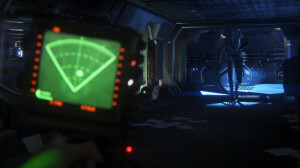 Earlier this month we informed you that SEGA announced their new game set in the Alien Universe entitled Alien: Isolation, a survival-horror title that abandons the action of the previous titles. Instead they are focusing more on the bleak horror of the original movie. Whether this will turn out good or not is still debatable, but if the tension shown in this first Official Gameplay Preview is an example of the final product, us Alien fanboys have a lot to look forward to playing in late 2014.